Join Pro Dive Cairns on your PADI Rescue diver course during our 3-day dive adventure and visit up to four easterly Outer Great Barrier Reef locations, taking in sites selected for their extravagance of marine life, and excellent visibility. This course is a crucial step in your diving education. It is a transitional stage where the diver moves beyond recreational diving. 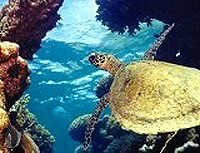 The course consists of 1 day of pool and classroom training followed by a 3 day/2night "live aboard" trip where you will get up to 11 dives on various outer reefs. These dives consist of a combination of training and recreational dives. Morning 8:00 - 12:00 Session will cover the four theory areas of self rescue and diver stress, diving first aid and equipment, emergency management, and diving equipment. Afternoon 1:00 - 17:00 Sunday afternoon pool session is used to introduce students to some of the basic skills they will need to progress though the rescue course. The emphasis of this session is to allow students to develop their rescue skills and techniques in a controlled environment before conducting rescue scenarios in the ocean with wind, waves and currents. Evening 18:15 - 20:30 "Reef Teach" marine biology lecture (optional). Days 2-4: On The Reef During the 3 day 2 night trip there are 11 dives scheduled. A minimum of three dives are dedicated to specific rescue diver skill development. The remaining dives will be non training pleasure dives. Outside of your non-training dives you can expect spontaneous real life rescue scenarios, to further develop your rescue skills. These scenarios will range from panicked divers on the surface, missing diver searches and in water resuscitation of unconscious divers. Rescue Divers will be briefed on Emergency procedures for man overboard, radio operations, oxygen use, life raft and distress flare operations as well as the operation of rescue boats and diver recall. A current First Aid Certificate is required. 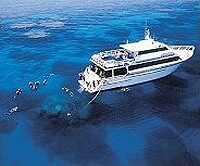 This can be arranged by Pro Dive Cairns if needed. Minimum age is 15 years, with no maximum age, however any participant that holds a PADI Junior Advanced certification may be eligible. A dive medical may be required. Some medical conditions may preclude you from diving. Asthma, diabetes, epilepsy and pregnancy are the most common ones encountered.